Timothy Medhurst runs ‘Timothy Medhurst Coins and Antiquities’ and deals in coins and antiquities, while offering freelance consultancy and auctioneering. He was the winner of Antiques Young Guns in 2013. What’s currently selling well in the auction room? Top quality always sells well. Jewellery, rare coins, 20th century Art and Asian Art are amongst the top hot sellers in my opinion. I love objects that tell a story! Not only can a repaired (stapled) Delft charger be decorative, it was also treasured enough by somebody over 100 years ago to have it repaired. Those are the types of things I collect. What piece would you love to sell in the auction room? I would absolutely love to sell a collection of Edward Seago oil landscape paintings. What’s the future for the industry: will people go to auction houses in 20 years or will sales all be online? People will always attend auctions, there is a social aspect of auctions with sale days and viewing days which cannot be replicated. Tomorrow’s antiques, I hate to say it but probably early Ikea. 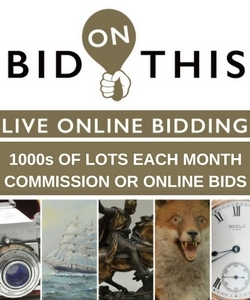 Spill some trade secrets – what are your top auction tips? My tip here is for beginners in the trade. Befriend the regular antique dealers and collectors at your local auction house, you will learn tremendous amounts from them. Will brown furniture make a comeback? I believe the market for furniture in general was inflated, it is now affordable for all homes. I can see the market becoming more buoyant in the future. 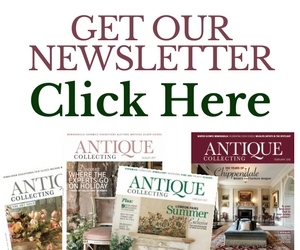 Where do you go to hunt out antiques? I love a good provincial antiques fair. 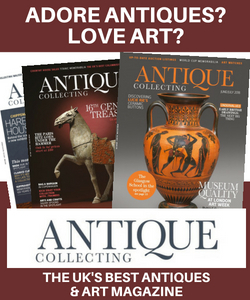 Young people don’t like antiques – agree or disagree? I couldn’t disagree more! We need to be welcoming and friendly, the majority of young people I have met find it different and interesting. What’s the future for the trade? Bright, in a word. Seatbelts on!